In a recent L.A. multifamily sales comp, a 21-unit apartment property sold for $4.25 mil, or $202.4k per unit. The property is located at 6126 Eleanor Ave, west of the 101 Fwy on the south side of Santa Monica Blvd. 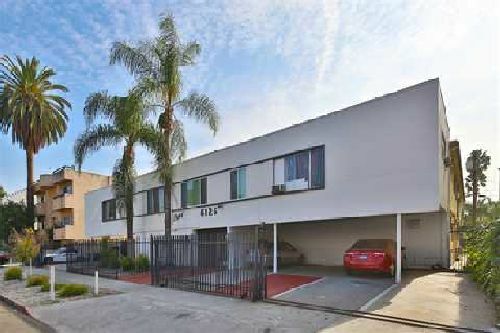 Built in 1959, this 21-unit building sits on a 13k sf lot in the central Hollywood neighborhood. The two-story building features studios, one-bedrooms and a bachelor unit. The immediate area continues to grow at a rapid pace and attracts high-end residents with the unparalleled access to employment opportunities and entertainment amenities. Neema Ahadian with Marcus & Millichap represented the buyer, a limited liability company, and the seller, an unnamed partnership.